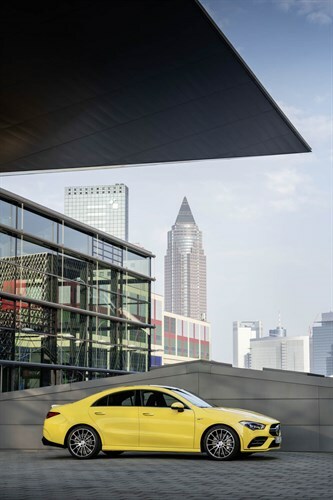 When iconic design meets strength and intelligence. 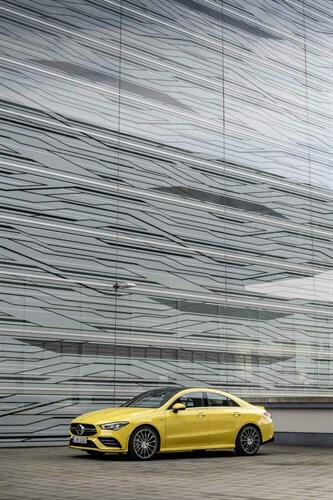 Sporty, stylish, intelligent and dynamic: The new CLA 35 is the latest point of entry to the world of Mercedes-AMG. 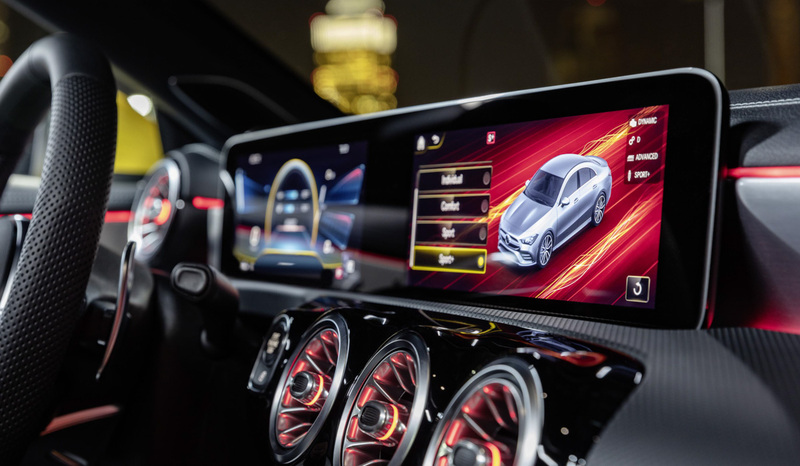 The four- door coupe shares the progressive technology with the A-Class, but is even bolder with its iconic design and the intelligent MBUX interior assistant. The high torque 2.0L Inline-4 turbo engine delivers 302hp, distributed to all four wheels via the 7-speed dual-clutch transmission and variable all- wheel drive. 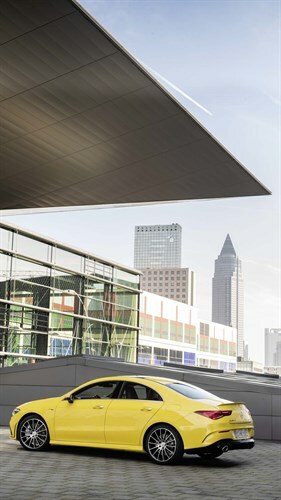 Sporty driving performance (acceleration from 0-100km/h in 4.6 seconds est.) is combined with a range of versatile driving experiences - from very sporty to refined and comfortable on long journeys. The unique design of the CLA Coupe is one of the new model's key purchase reasons. 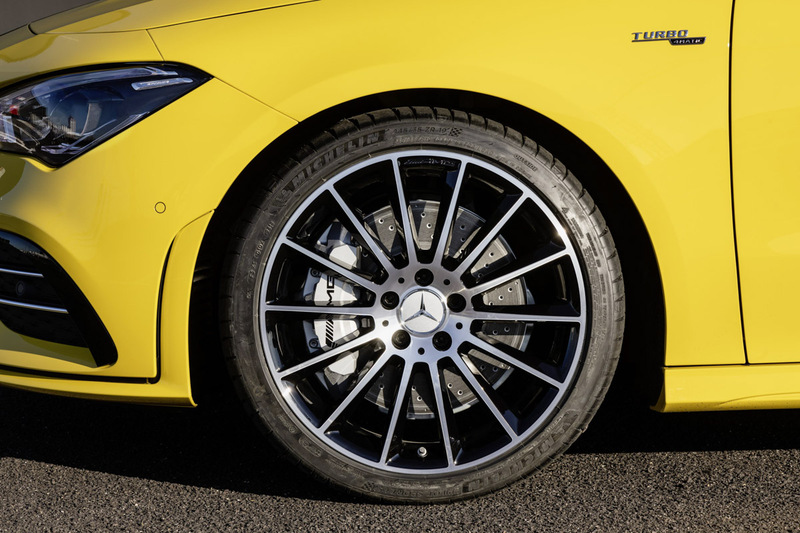 The AMG designers therefore aimed to maintain its basic form with wide wheel arches and a slim profile. The two power domes on the hood were also adopted as sporty details. 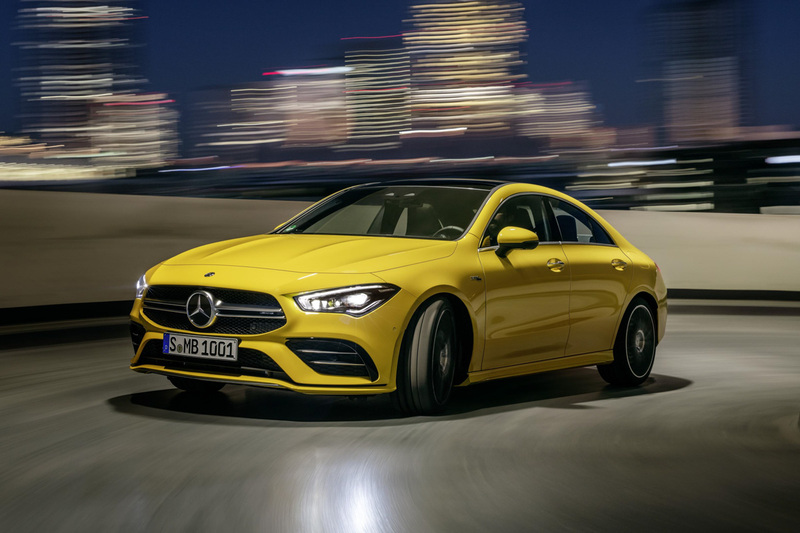 The new radiator grille with classic twin louvers and an AMG front bumper with flics on the air inlets are distinctive features of the CLA 35. Other distinguishing characteristics include silver chrome trim elements in the outer air inlets. From a side view, the aerodynamically optimized 18-inch light-alloy wheels in twin-spoke design (19-inch wheels are optionally available) and the accentuated side sills catch the eye. 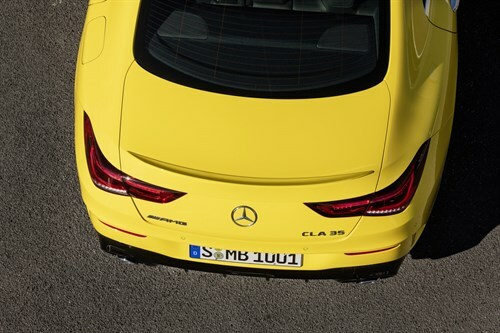 The rear bumper with a new diffuser insert, the small spoiler lip on the trunk and the two round tailpipes on the left and right dominate the rear view. The two-piece, narrow tail lamps and the license plate housing placed low in the bumper add to the CLA's wide rear appearance. 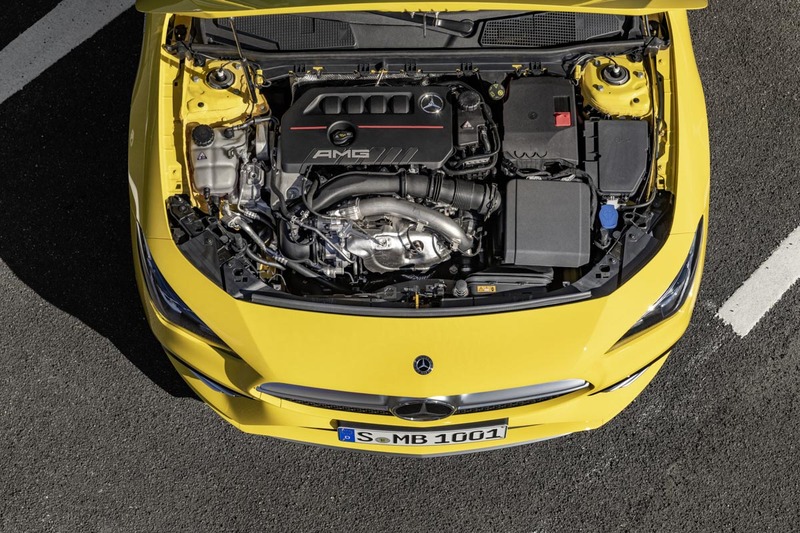 The 2.0L Inline-4 turbo engine is a new development and is based on the M260 four-cylinder engine in the new A-Class. 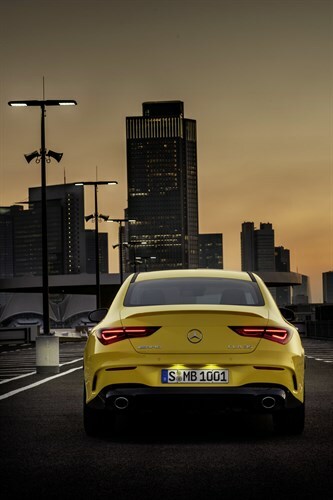 The new drive boasts a quick response to accelerator pedal commands, high torque (400Nm max. 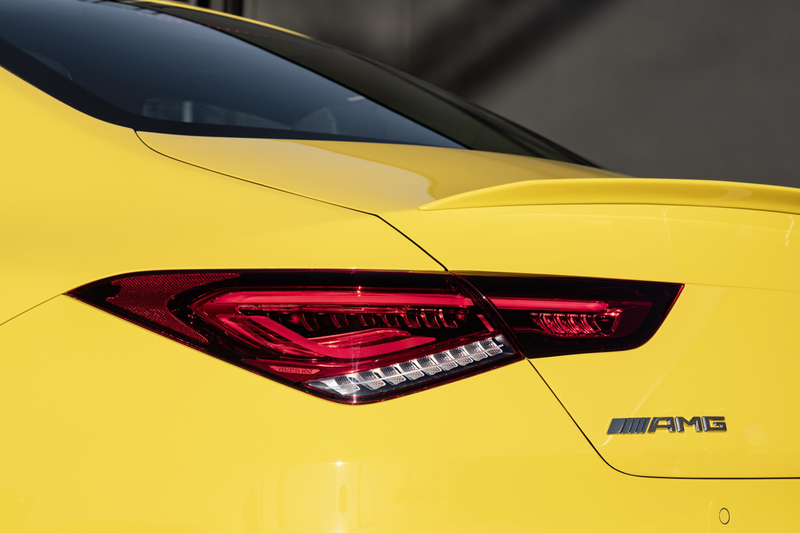 torque from 3,000rpm), a lively response and an emotional engine sound. The crankcase made of high-strength, lightweight die-cast aluminum reduces the vehicle weight where it matters most for driving dynamics. "Basic"is assigned to the "Slippery"and "Comfort"drive programs. 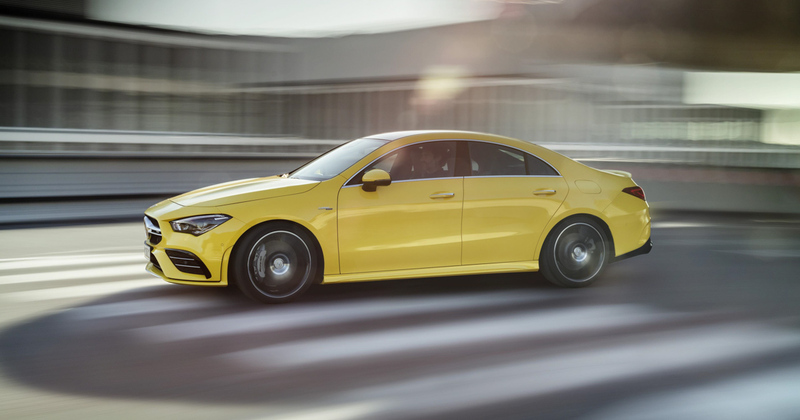 In this case, the CLA 35 shows very stable handling with a high damping of the yaw rate. "Advanced"is activated in the programs "Sport"and "Sport+. 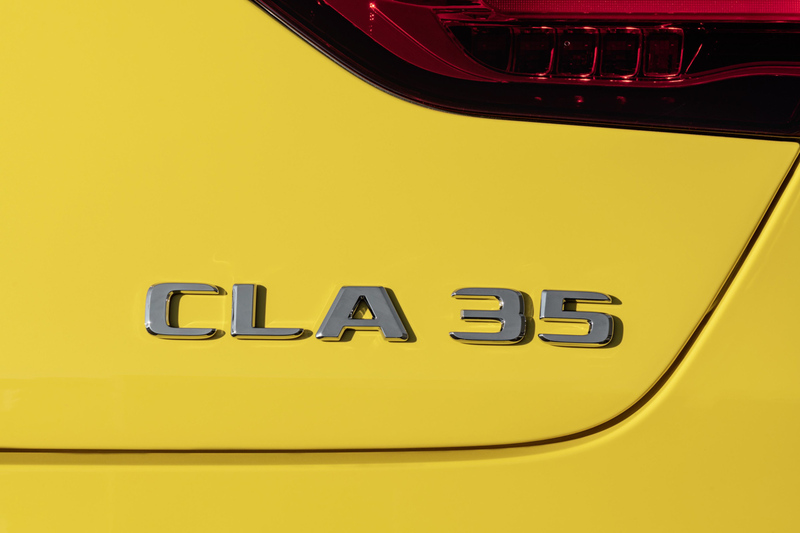 "The CLA 35 remains neutrally balanced. 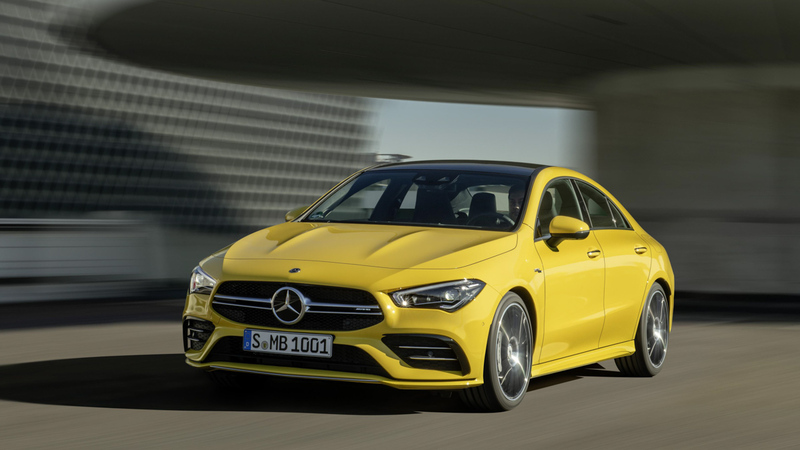 The lower yaw damping, lower steering angle requirement and enhanced agility support dynamic maneuvers, such as driving on winding country roads. 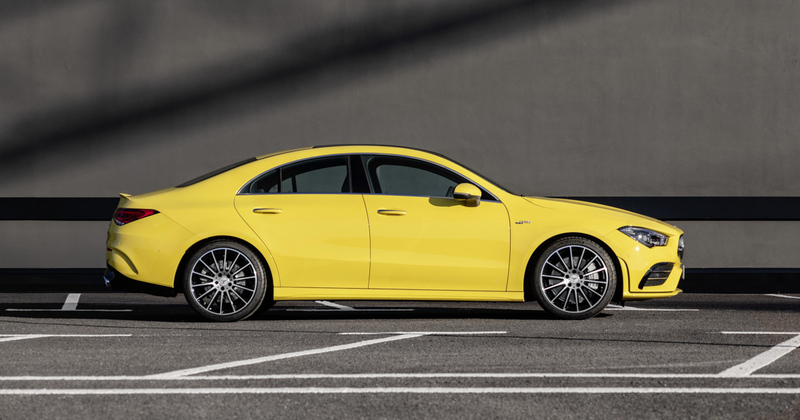 In the "Individual"drive program the driver can set the AMG DYNAMICS levels individually. After putting in some fast laps, the driver can use the data to analyze and, if necessary, improve their driving skills. In addition, acceleration and deceleration values (e.g. 0-100km/h, ¼ mile, 60-0 mph) can be measured and saved. 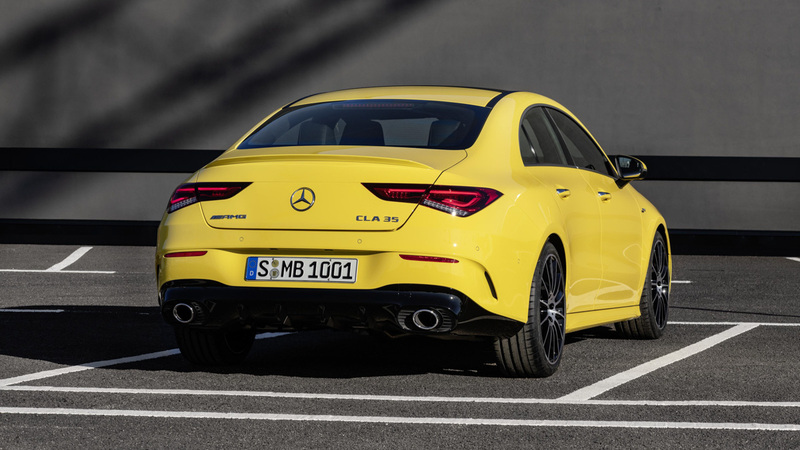 Thanks to a newly developed algorithm which determines the vehicle position as precisely as possible, AMG TRACK PACE even detects when the track has been left or if it has been shortened. This is possible using GPS data as well as the sensors available in the vehicle (acceleration, gyroscope, steering angle, wheel speeds).